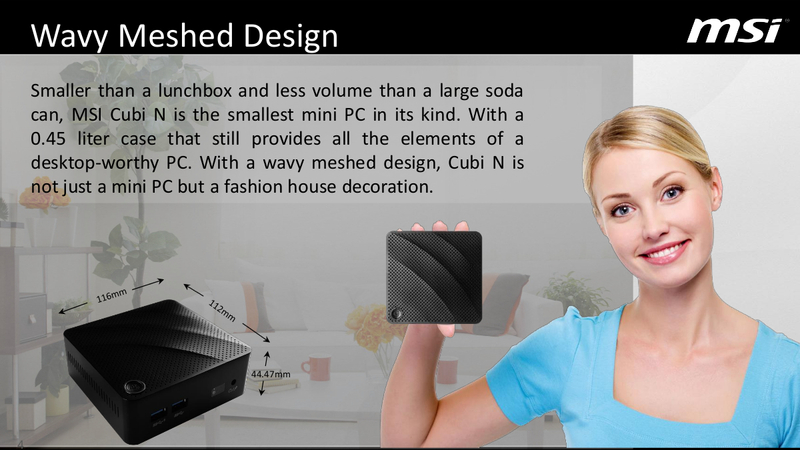 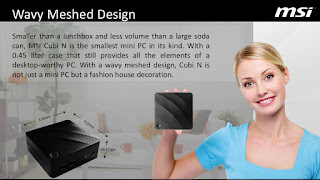 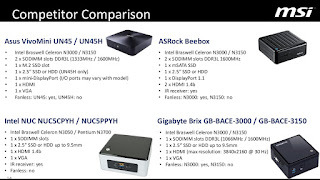 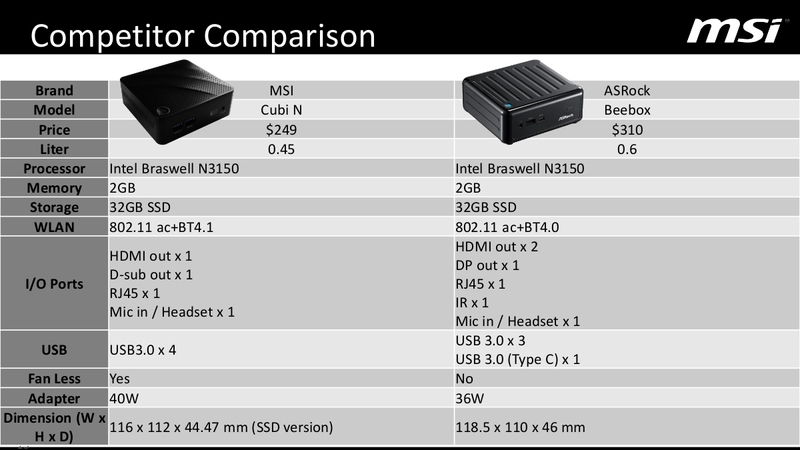 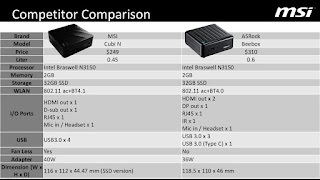 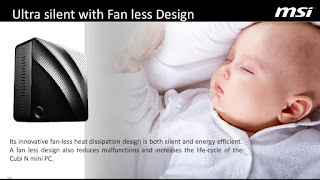 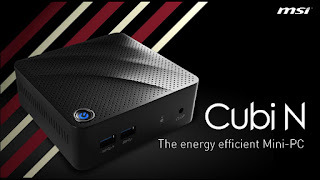 We just stumbled upon this PDF on MSI's site, and they seem to be serious about the upcoming Cubi N. Pretty aggressive towards competitors too, and rightfully so, the Cubi N is the only Braswell mini PC to feature the meshed design we were waiting for. 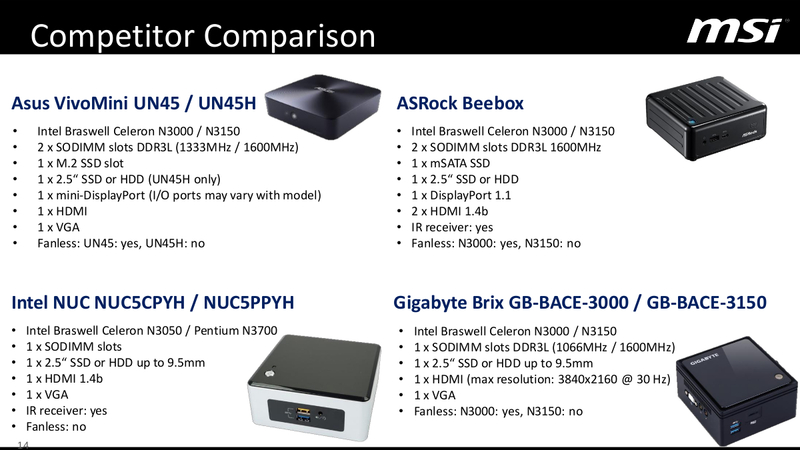 The Celeron N3150 / 2GB RAM / 32GB SSD / Windows 10 version will retail for $249 but the last slide reveals a Pentium N3700 model in the works. 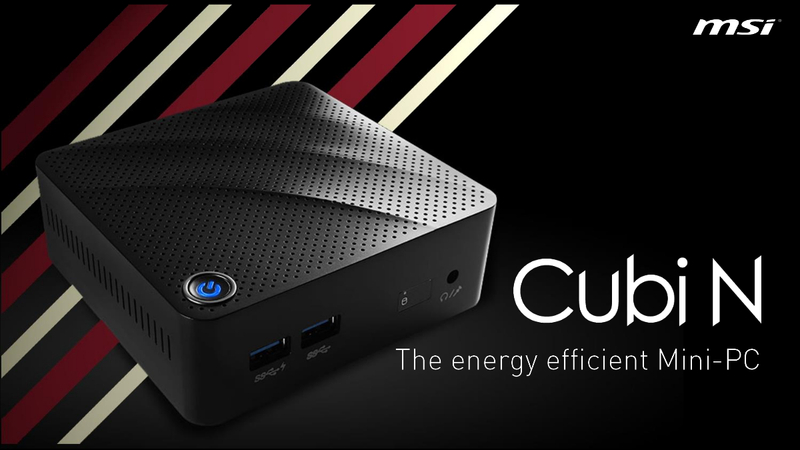 Update: Cubi N mini-site goes live.